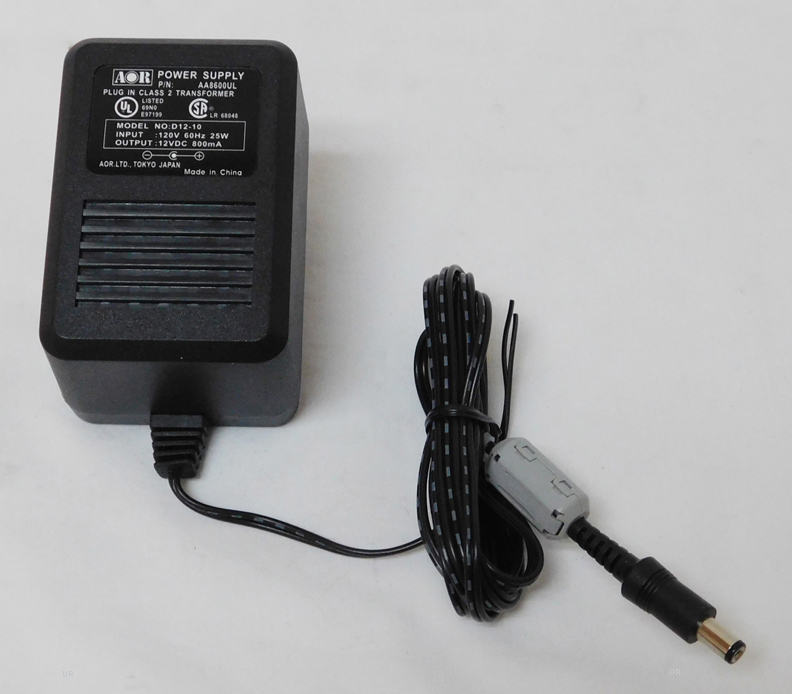 The AOR AA8600 power supply that is included with the AR-DV1 provides 12 VDC at 800 mA. This linear design power supply is very RF quiet. Input is 120 VAC 60 Hz 25W.